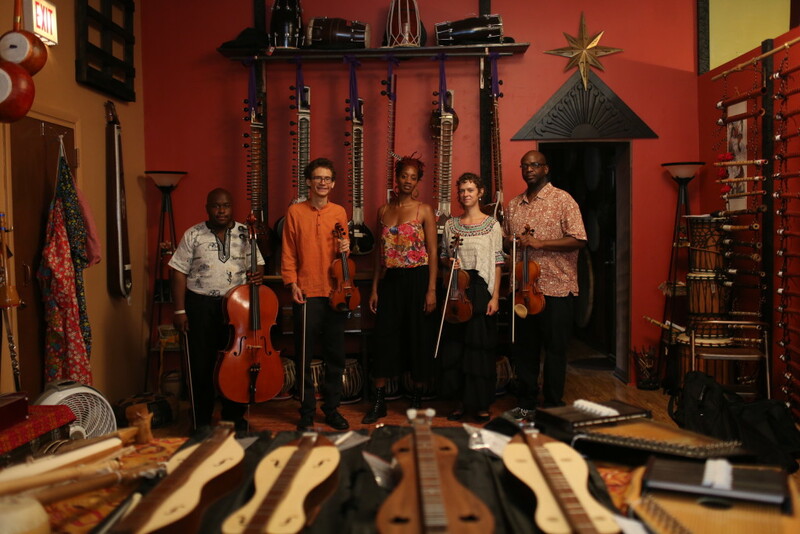 The Chicago Folklore Ensemble’s new show, Follow The Butterfly, will premier on April 29 with a field trip performance at Old Town School of Folk Music. Follow The Butterfly is a performance of songs and tales from around the world celebrating the earth. Students will learn through music and story how world cultures have honored nature. In an hour of wisdom and whimsy, find out how a girl in India saved a whole forest of trees, how a village in Nigeria angered the sky, and how an Amazonian butterfly taught a young girl not to be scared of the forest. Come hear folktales that encourage care and respect for our planet, and folk songs that make participation irresistible! Students of all ages will enjoy this dynamic performance of string quartet and storyteller. The show will be held at the Old Town School of Folk Music, 4544 N Lincoln, 10:30 – 11:30 AM on Friday, April 29. Contact Old Town School for ticketing information. Follow The Butterfly is available for booking! The performance is ideal for schools and libraries. Contact us for inquiries, and attend the show at Old Town School to see it yourself!